I. Love. Pancakes. 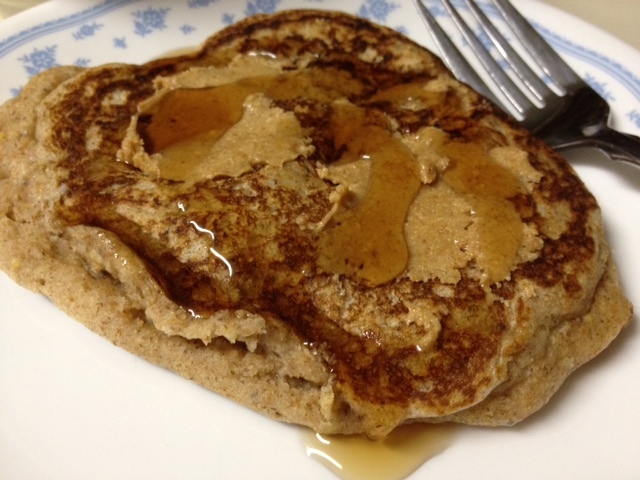 Give me a fluffy, whole grain buttermilk pancake and I’m in brunch heaven. Slather it with peanut butter and some syrup? Divine. To me, pancakes mean a lazy Saturday morning, Sabbath brunch with my family, music in the background, with me flipping pancakes while everyone chows down. Problem is, I don’t really get pancakes much anymore. It’s just me, so I typically have a lot of strong coffee for weekend breakfast and not much else. 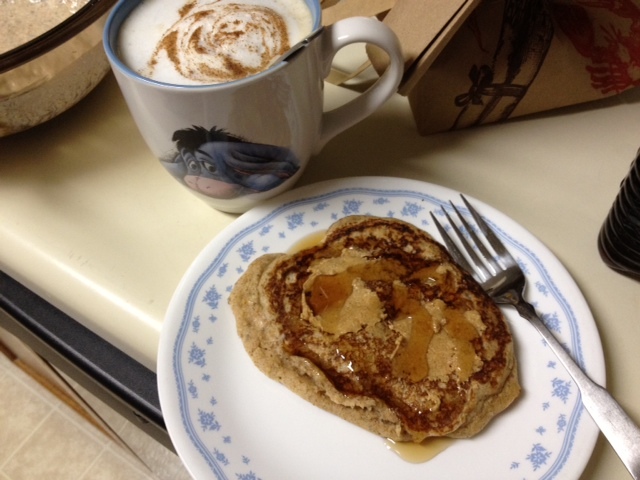 However, I went for a run a few Sunday mornings ago, and when I got home I was absolutely ravenous. I mentally ran through my meal options and decided I was craving pancakes, but needed to make them as healthy as possible. 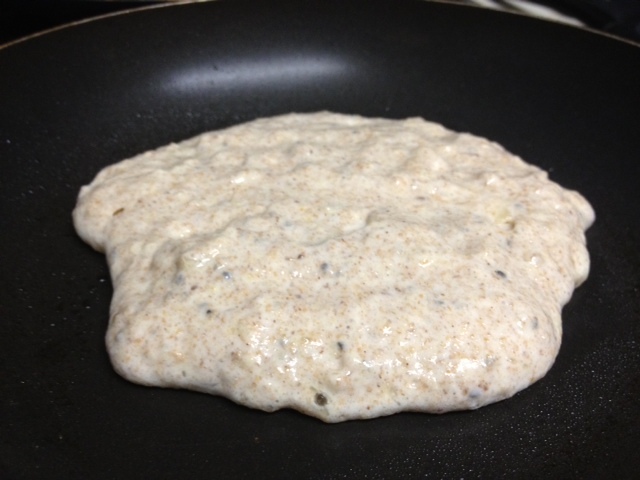 So I took my family’s buttermilk pancake recipe, and swapped in mostly whole wheat flour, wheat germ, flaxseed, and some chia seeds for good measure. And it was delicious! I picked up the wheat germ and ground flaxseed a couple years ago and have been keeping them in the freezer so they stay good. I got the chia seeds on Amazon. 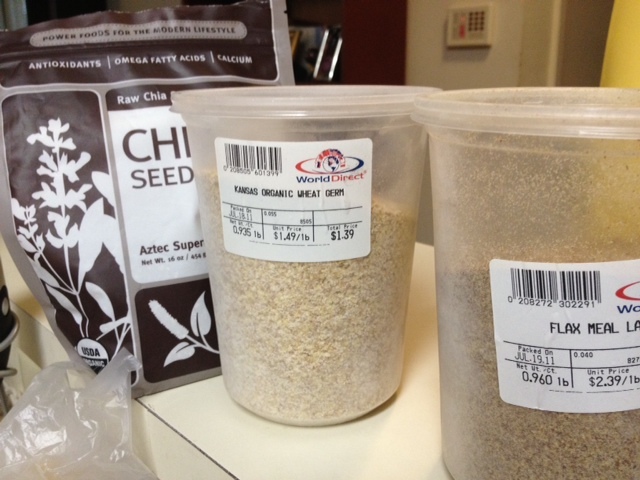 Chia seeds are one of those magical foods (ground flaxseed is too)…provides fiber, perfect omega oils, protein, etc. Keeps you full and helps regulate your blood sugar. Like I said, magical. Add the wet ingredients. Make sure to put some buttermilk in first before adding the melted butter, otherwise the hot butter can kind of cook the egg, and that’s gross. 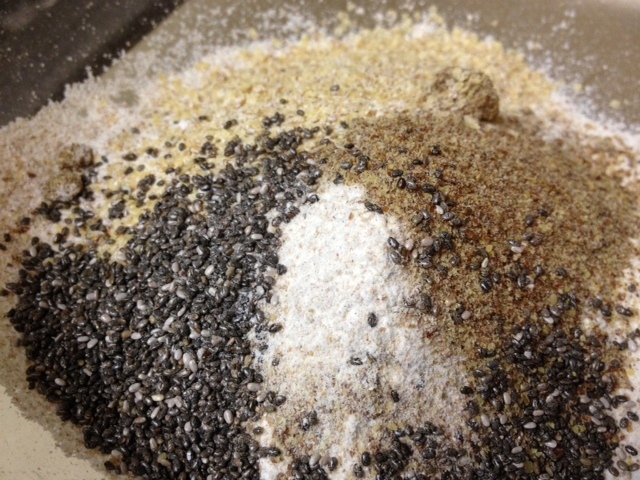 Mix ingredients together, but stir as little as possible to combine everything. 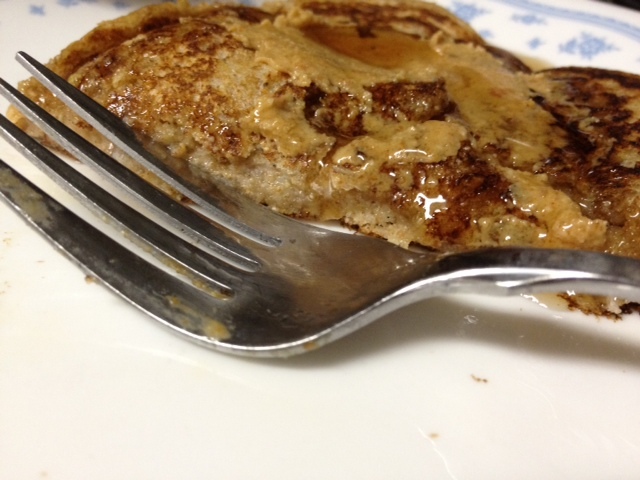 Over-stirring pancake batter is never good. 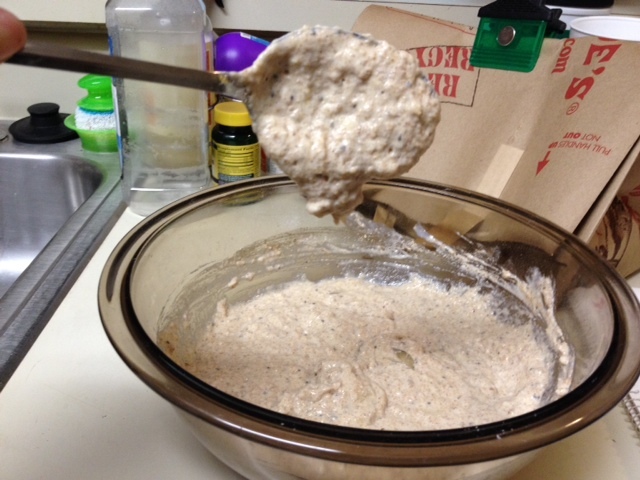 Add enough buttermilk to make the batter JUST runny enough to fall off a spoon easily. You don’t want it actually runny, but shouldn’t be so thick as to be a dough either. Heat a skillet or griddle at medium or medium-high, and it can’t hurt to spray with non-stick cooking spray. Pour or ladle the batter onto the griddle. 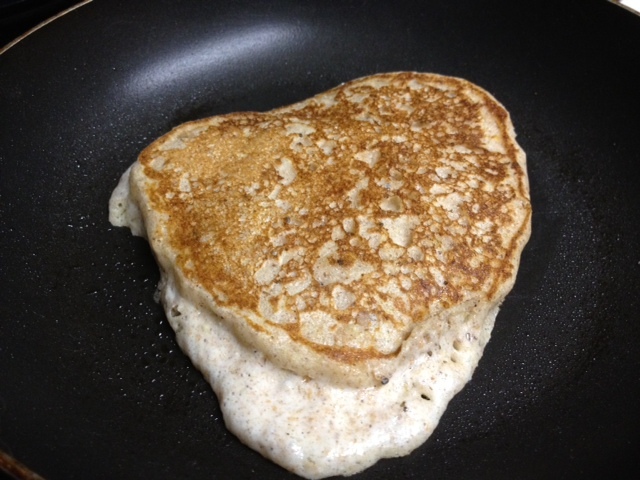 Wait until bubbles start to appear on the batter (probably around two minutes), then flip the pancake. Cook another couple minutes and then remove from the pan. Serve however you want—fruit and whipped cream, butter and maple syrup, jam. For me, it’s homemade peanut butter and a little syrup, with a homemade hazelnut latte. These were so full of fiber, I was stuffed for hours, but satisfied my sweet tooth too. 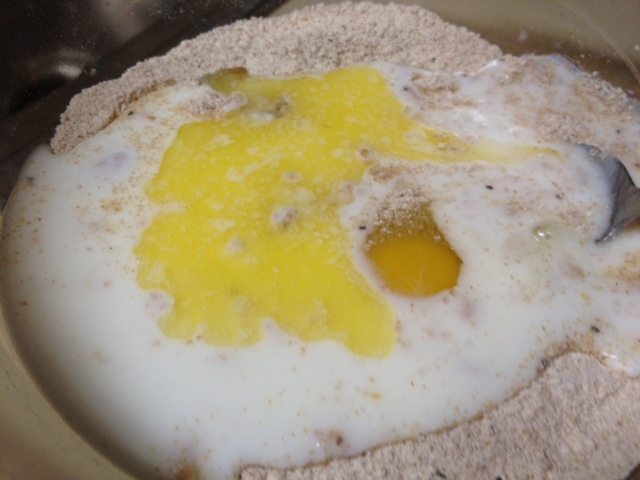 Add about a cup of buttermilk, the egg, and then the oil or butter. 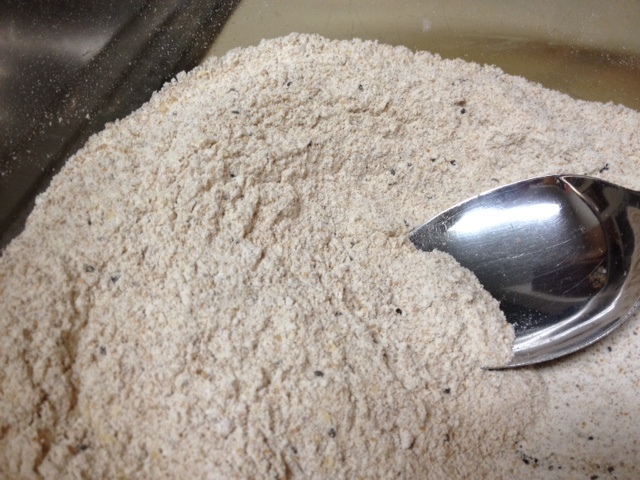 Stir together, and add enough buttermilk until it’s the right consistency. Cook pancakes on medium. Serve immediately.